Colors are bright and vivid. Mr. 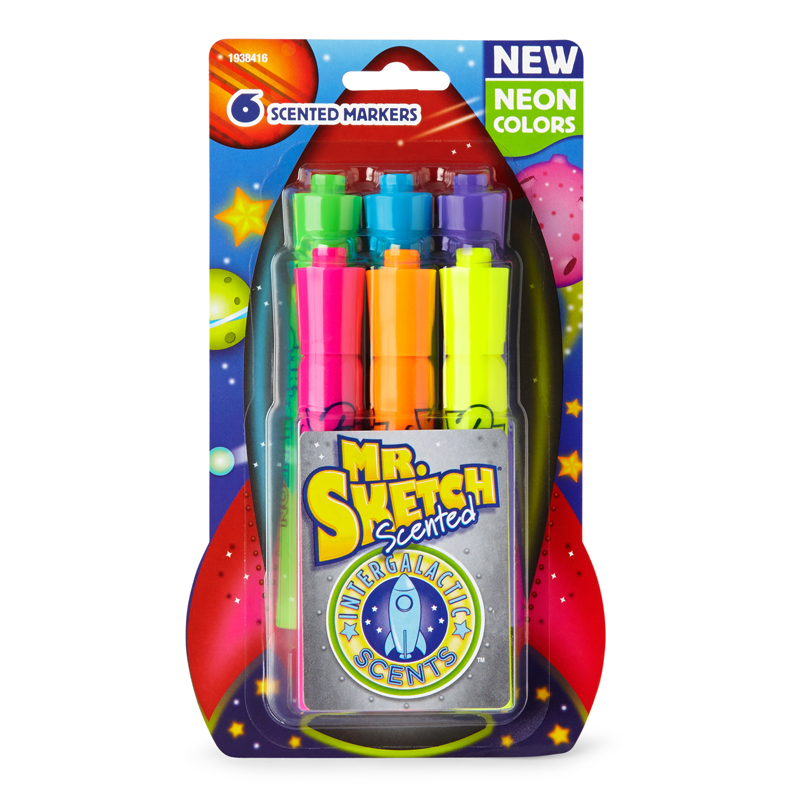 Sketch markers have twice the ink of most markers to last super-long. The smooth-flowing chisel-tip makes sketching easier. The tip is sturdy to keep its shape even after months of coloring. 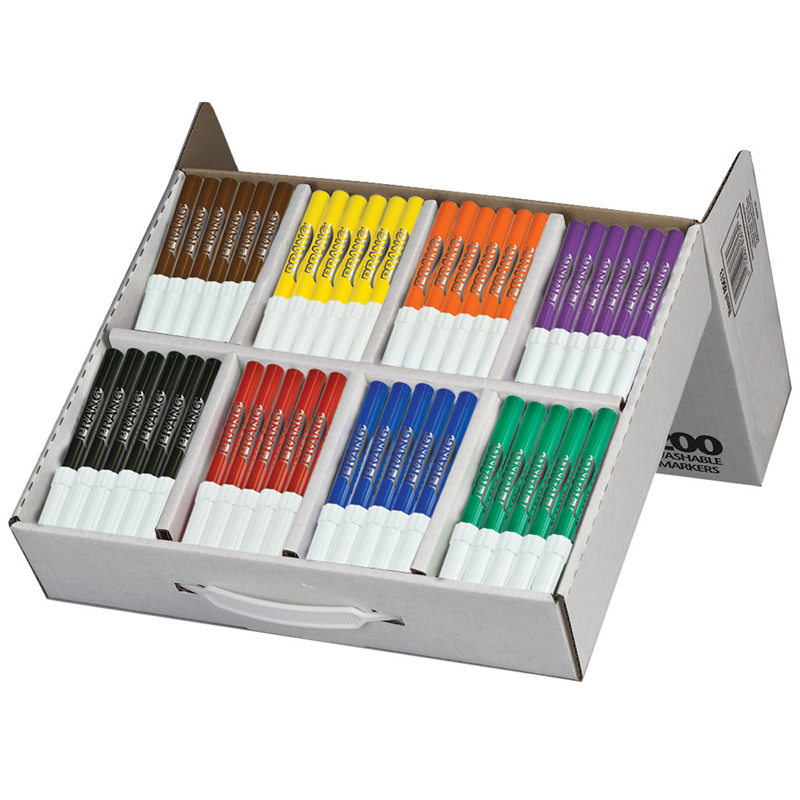 The specially formulated, non-bleeding water-based ink is great for easels. 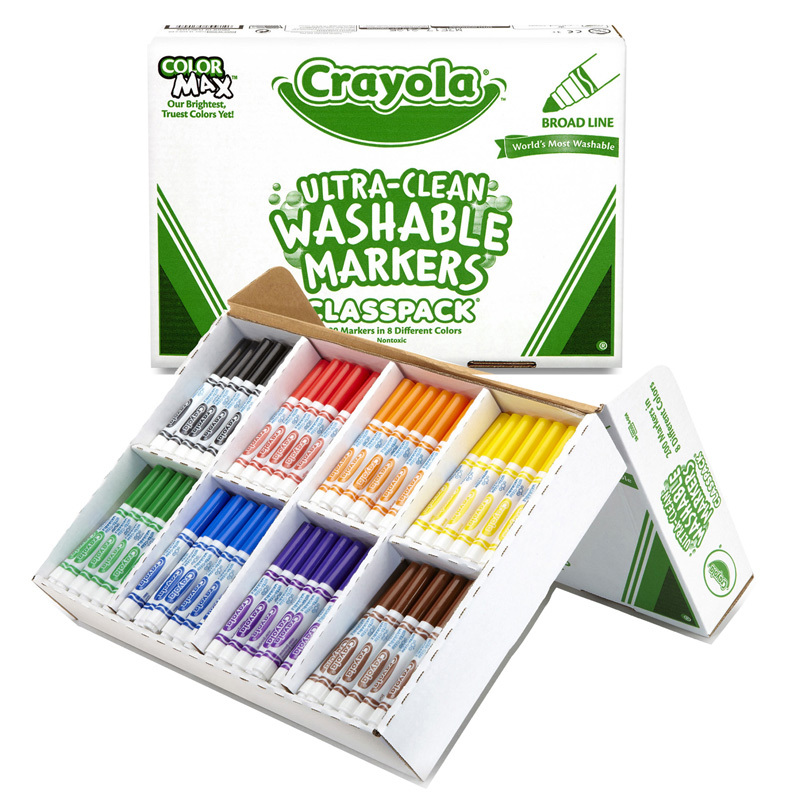 It's safe for children and certified AP non-toxic. 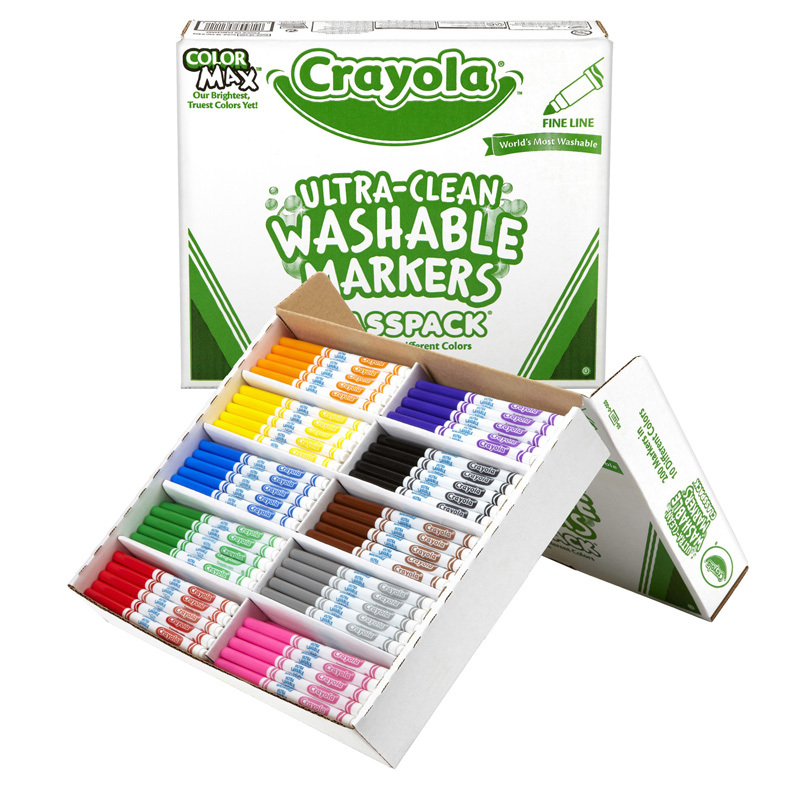 Each color has its own fun scent to feed your imagination. See product description for all color scent combinations. 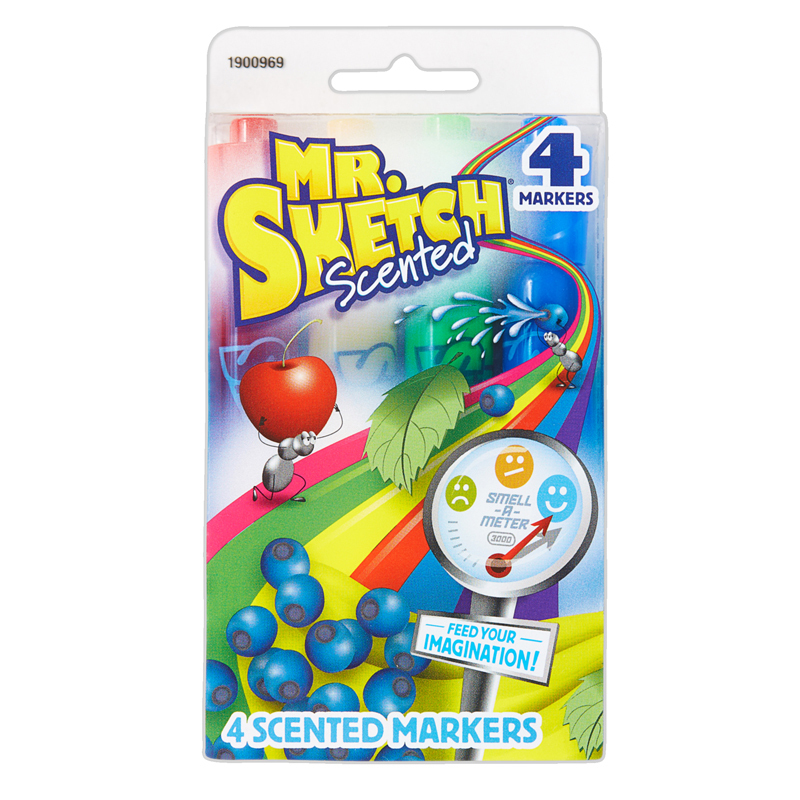 Includes 192 markers the following scents: Raspberry, Melon, Cherry, Orange, Banana, Mint, Green Apple, Tropical Punch, Blueberry, Grape, Cinnamon, and Licorice. 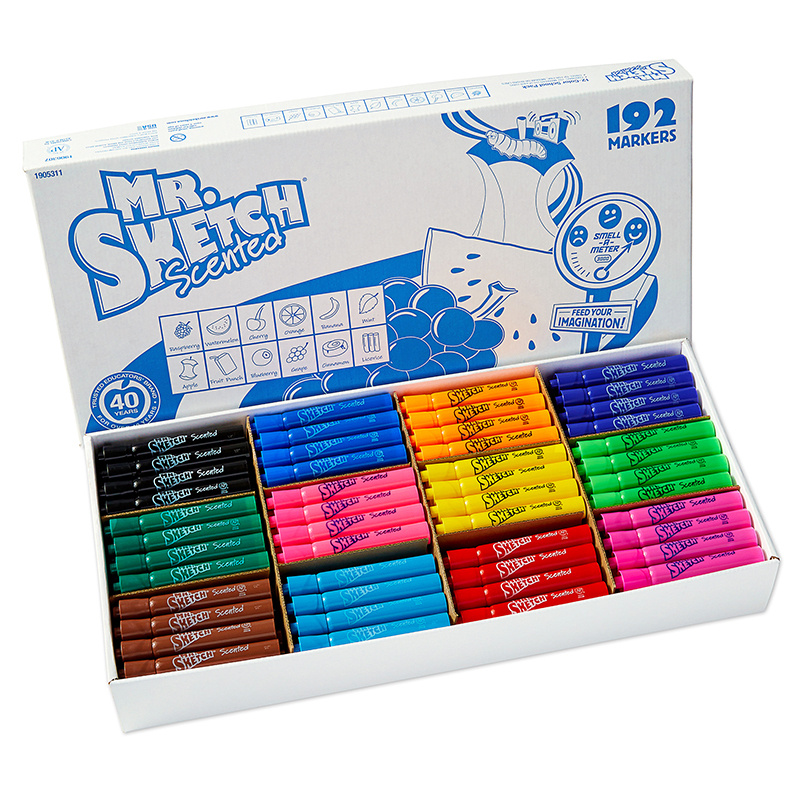 The Mr Sketch Scented 192ct Chisel Tipmarkers can be found in our Markers product category within the Arts & Crafts.